In March, 2005, the first meeting of the initiative group took place, where it was published the Appeal of the initiative group to the polymer community and preparations to the Organizational meeting have begun. 15th March, 2005 held an Organizational meeting, which approved the Statute of the OPP, organizational and legal form of the OPP, and determined control elements. On the initiative of the prominent Russian specialists in the field of plastic processing like mr. V. Abramov, mr. A. Kudriavtzev and mr. 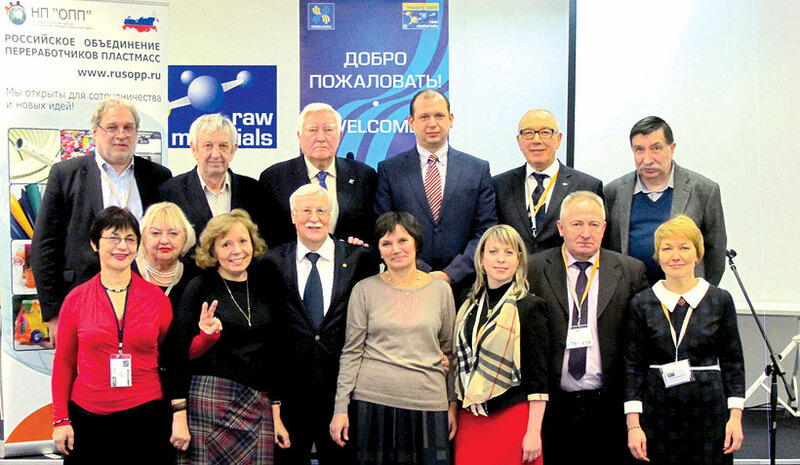 I. Vyatkin, different in their status, geography and range of plastic products took part in creating the Association, among which were JSC "MUSHARAKA", NPP POLYPLASTIC group, JSC "scientific-production enterprise MAYAK-93", OJSC "NOVATEK-POLYMER", OJSC "LIVNIPLASTIC", LLC"POLYMER(Desnogorsk),LLC"LADA-LIST, sole proprietorship BAKHOV (Khabarovsk), SC "PLASTIC" and other. In addition to the producers and processors of plastics , domestic and foreign manufacturers of polymeric equipment and accessories took part in the creation of Association, such as ZAO "ATLANT" and LLC"BIPLANT" attended and were included its membership. Also "PROCESSORS ASSOCIATION of TATARSTAN POLYMERS",JSC MIPP-SPA the "PLASTIC", " ASSOCIATION of MANUFACTURERS of POLYMERIC PACKING", Russian Mendeleev University, FSUE "Institute of POLYMERS", JSC "INSTITUTE of PLASTICS", JSC "GIPROPLAST" and leading industry mass media took part in the creation of the OPP. The establishment of the Association was supported by the DEPARTMENT of INDUSTRY Ministry of industry and energy, RF CCI, RUSSIAN UNION of CHEMISTS, ASSOCIATION "Sojuzupak", Russian Chemical Workers Union. In February 2006 non-commercial partnership "Association of plastics processors" has passed the state registration. – Development of social programs.